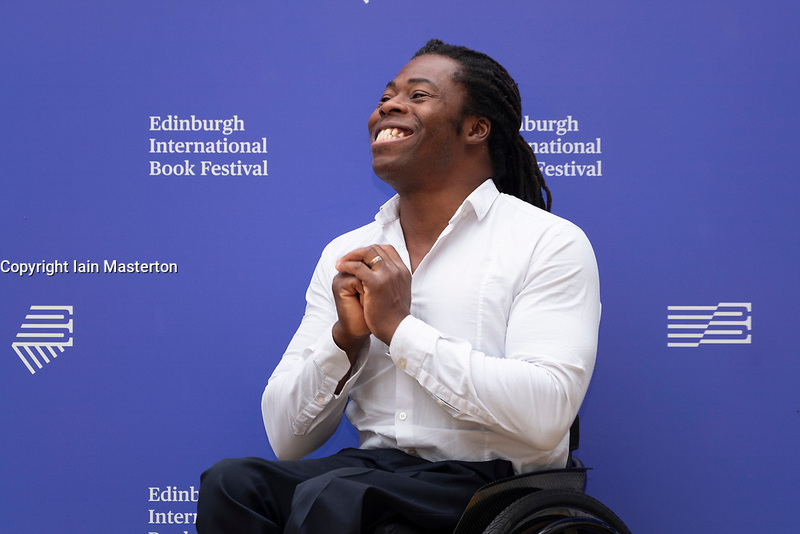 Ade Adepitan at Edinburgh International Book Festival 2018, Scotland, UK. Edinburgh, Scotland, UK. 26 August, 2018. Pictured; Ade Adepitan the Paralympian and TV presenter has a new book based on his own experience of moving to London from Nigeria and how he adapted to life in a new country.